Potatoes may look similar, but there's a huge variety out there! It can be difficult to know which potato to choose for which recipe; they have different textures, cooking times and starch levels. Take a glance at our potato-based recipes here! Which variety for which purpose? Focus on nutrition: A potato has an energy value of around 85 Kcal/100g when cooked without fat or added oil (19g carbohydrate, 2g protein, 0.1g fat). 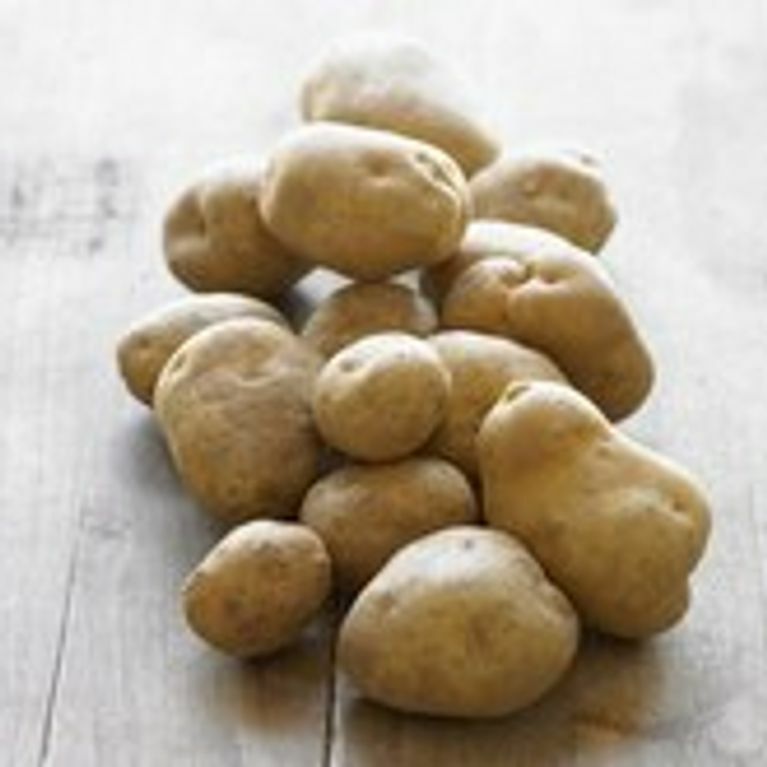 Potatoes are rich in starch, complex carbohydrate, potassium, Vitamins B6 and B3, and iron. For slimmers, the best way to eat potatoes is boiled (for the least time possible) with the skin on to retain the vitamins. The longer potatoes are cooked, the higher their glycaemic index and the lower the supply of lasting energy they provide. Peel, cut and leave the potatoes to soak for an hour in cold water. Rinse and dry them well. Cook them in two pans of hot oil: the first one at 160°C and the second one at 190°C to give a golden colour. Always start with cold water! Add salt once it reaches the boil. Cooking time will vary according to the size of the potatoes. Prick with a knife or fork to check they’re cooked in the middle. Heat the potatoes in hot oil then lower the temperature and leave to cook, stirring frequently. Cut potatoes into small chunks and after boiling them for 5 minutes, drain and place in a well-oiled roasting tin that has been preheated in the oven. Cook for about an hour at 220°C, turning from time to time, until they’re golden and crunchy on the outside and soft in the middle. Boil and then mash (with or without the skin), adding warm milk, butter, salt and pepper. Other optional ingredients include mustard, egg yolk, nutmeg, crème fraîche, grated cheese, olive oil and thyme. Prick and cover the potatoes in aluminium foil, then bake in the oven at 200°C. Remove the foil and pop the potatoes under the grill for 10 minutes at the end to make the skin nice and crispy. Grate the raw, peeled potatoes into a bowl. Mix in grated onion, salt, pepper and beaten egg. Heat some oil in a frying pan and spoon in portions of the mixture. Make into shapes about 1cm thick. Flip once they’re browned and crispy. Scrub the potatoes and cut them in half lengthways, repeating until you get even wedges. Place in a bowl with olive oil and stir until coated. Place onto a baking sheet and bake at 200°C for about 30 minutes until golden brown and cooked throughout. The secret: slow cooking in an oven at 150°C max. For 1kg of potatoes, use 1 litre of liquid crème fraiche or half milk/half double cream. Buttering the dish with garlic will give the result a lovely smell! Cook for 2 hours at 120°C. This is purée with flour, eggs, salt and pepper added. Ridges are made in the dough balls with a fork and they’re then cooked in salted boiling water. Gnocchi can be eaten alone with a knob of butter, with sauce or in gratin. Once the potatoes are cooked, there are 2 options. Either peel them immediately and pour the dressing over while they’re still warm, so they absorb it. Otherwise, leave them to cool (overnight even), then peel and chop them and pour the dressing over them. This is a more slimming version as much less oil is required (the potatoes absorb less when cold).